Ingrid Fleming has always believed a goddess lies buried beneath the forbidding, Devil-headed rock-pile atop Devil’s Tor. But when the pile is shattered in a sudden storm, it’s her cousin, Hugh Drapier, who enters the newly-revealed tomb. Drapier has recently arrived from Tibet, where an encounter with the adventurer Henry Saltfleet and the archeologist Stephen Arsinal has left him in possession of a stolen sacred stone, the half of a broken whole, which has the power to induce visions of its arrival on Earth in the early days of primitive humanity. 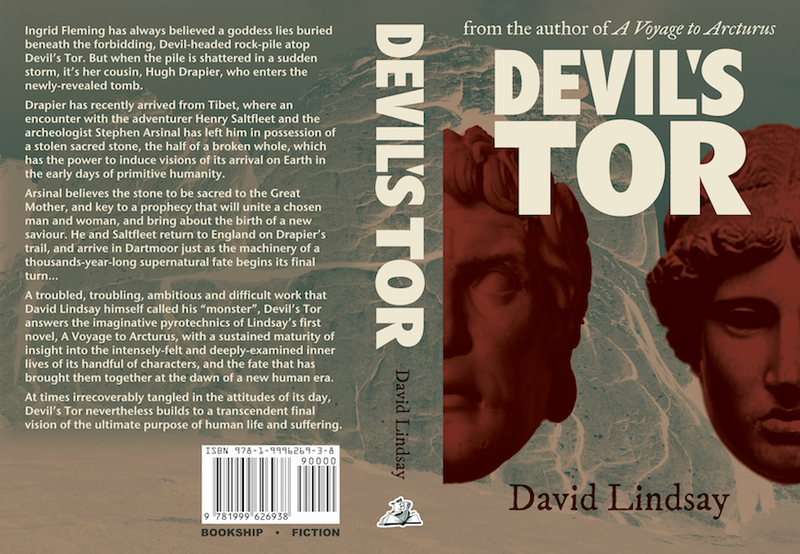 A troubled, troubling, ambitious and difficult work that David Lindsay himself called his “monster”, Devil’s Tor answers the imaginative pyrotechnics of Lindsay’s first novel, A Voyage to Arcturus, with a sustained maturity of insight into the intensely-felt and deeply-examined inner lives of its handful of characters, and the fate that has brought them together at the dawn of a new human era. 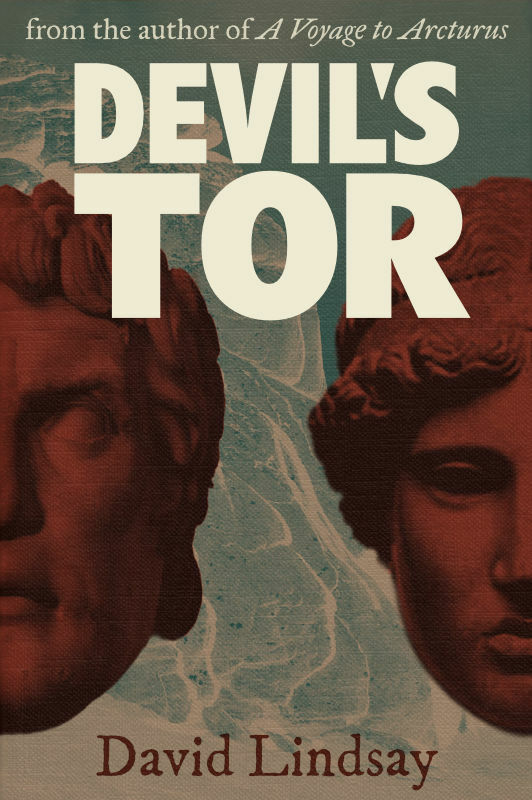 At times irrecoverably tangled in the attitudes of its day, Devil’s Tor nevertheless builds to a transcendent final vision of the ultimate purpose of human life and suffering.